Apple's Classroom app is one of our favourite apps we have featured in several EdTech lists in the past. In today’s post we are sharing with you a quick overview of some of the things you can do with Classroom to enhance your students learning and turn your class into an interactive learning hub. The core principle behind Classroom is similar to Google Classroom: they are both powerful teaching assistants that provide a wide variety of features. 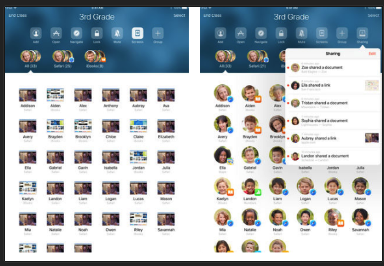 However, because Classroom is an Apple product it works seamlessly with other iOS apps to create an enhanced workflow. It allows you to create virtual classrooms where you can interact and exchange learning resources with your students. 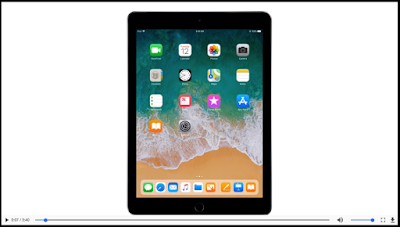 It actually ‘puts you in the driver’s seat of every iPad in class, so you can guide students through lessons and keep them focused on the task at hand.’ Using Classroom app on iPad enables you to oversee your students work, manage and control their iPads, and guide them through learning activities. The way Classroom works is simple and easy. Download the app on your iPad, create a class and invite your students to join. Once they join, you will then be able to see who is online, which apps they have open on their iPads, and what they are doing on each app. iOS 11 makes it possible for you to instantly share educational content from other apps with your students. For instance, you can drag and drop a file, a presentation or even URL from Safari and have it open right in students iPads. Using Screen View you will be able to see all of your students iPad screens in real time, you can tap on any student screen to have a closer look at what they are doing. Additionally, you can use Apple TV to showcase students work to the whole class.Watch the video below to learn more about what you can do with Classroom app.